1. 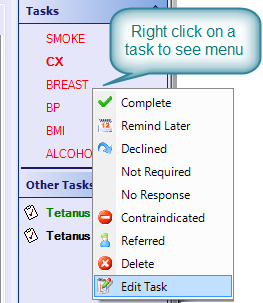 Right click the task in the Tasks list. 2. Select [Edit Task] from the right click menu. 3. Edit the details as required and press [OK]. 2. Select [Delete] from the right click menu.